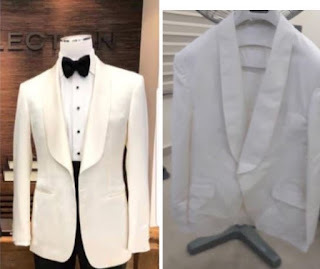 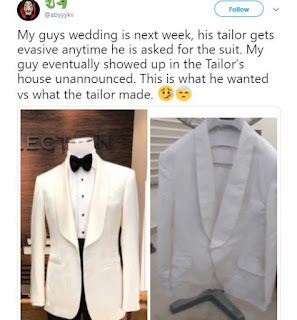 The Suit A Groom Ordered VS What He Got A Few Days To His Wedding (Photo) | IkoroduVibes | Exporting Africa Entertainment..
Guys, what would you do to the tailor? Description : Guys, what would you do to the tailor? 0 Response to "The Suit A Groom Ordered VS What He Got A Few Days To His Wedding (Photo)"